Budapest Keleti Station by Miroslav VolekBudapest is a beautiful city with great food, unique architecture and an excellent choice of activities. Budapest is also one of the main cities in Central Europe, with direct train connections to almost all of its neighbors and some countries beyond its borders. On this post we will analyze all the train routes from and to Budapest, what is the best option to visit the Hungarian capital, and how much money you need for your stay. There are three main stations in Budapest, and your arrival or departure will depend on your destination. The tree stations of Budapest are: Déli pályaudvar, Keleti pályaudvar and Nyugati pályaudvar. 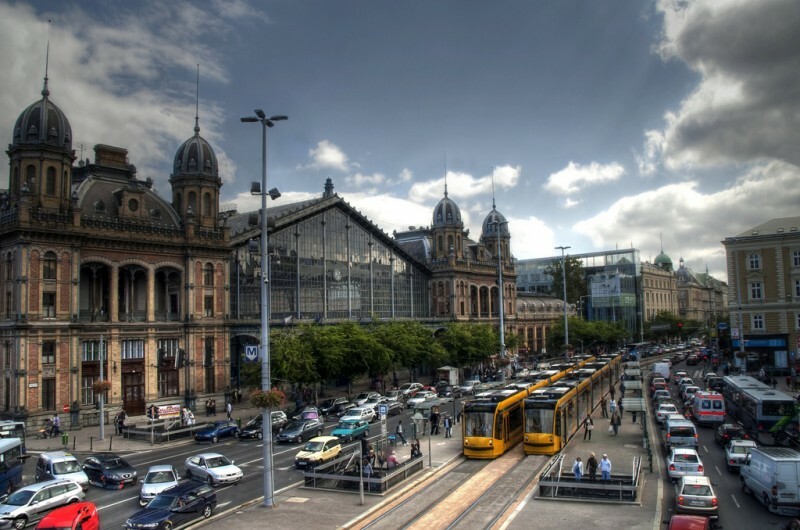 If you are arriving via the Keleti station, you can check hotels in this area on Booking.com website. Nyugati pályaudvar: its name translates to Western Railway Station and oddly enough it serves mainly cities in Eastern Hungary. There is only one international route from this train station and it travels to Ukraine (Lviv, Kiev). The metro line M3 serves this railway station. If you are arriving via the Nyugati station, you can check hotels in this area on Booking.com website. Déli pályaudvar: this is Southern Budapest station and is oriented to mostly some specific Hungarian domestic lines. Trains to Croatia also leave from this station. It you access it using the metro line M2. As written above, for international passengers, your most obvious destination is the Budapest Keleti pályaudvar, which serves almost all international routes is located in the center of the city. Slovakia is the immediate Northern neighbor of Hungary and even Budapest is located at a very short distance from the border. There are multiple trains operating on the route Budapest – Bratislava, many of them continuing to the Czech Republic to Brno and Prague. They are most InterCity trains with 2nd and 1st class cars. The average journey time on this route for direct trains is 2.40 hours. Trains from Budapest to Kosice in Slovakia run usually twice a day. The journey is slightly longer than the Bratislava route and takes around 3.30 hours. Both Bratislava and Kosice used to be cities of the Austro-Hungarian empire, so the transit of Hungarians is quite considerable on these trains. There are direct trains from Hungary to Croatia. There is only one direct daily train leaving Budapest Deli staion to the Zagreb Glavni Kolodvor station. 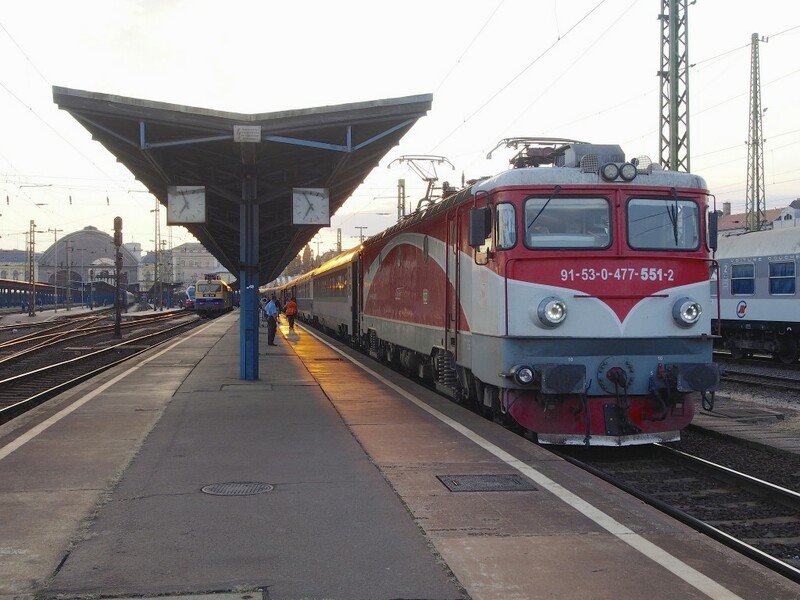 There is also a train leaving from Keleti but requires a connection in Dombovar (check details on MÁV website). Once in Zagreb you have a lot of options to travel further by train to the coast to cities like Split or Rijeka, and by bus to Dubrovnik. Even if the direct route Budapest – Sarajevo was active a few years ago, it is currently not available. Your best bet is doing taking a direct train to Zagreb and from there a bus to Sarajevo, os the same connection via Belgrade. Regardless of your choice, it’s is a very long ride. The best option to get to Serbia from Budapest is probably by train. There are 3 daily trains running on the route from Budapest to Belgrade. Those are not EuroNight trains so the level of comfort is not so elevated. The trip takes roughly 8 hours. Budapest has a large choice of trains going to Austria on a daily basis. Most of them are operated by the ÖBB Railjet, a quite modern, comfortable and fast train. From Budapest to Vienna (Wien) there are direct trains running around each 2 hours. This is the most reliable form of travel between Budapest and Vienna, especially if you need to catch a flight in the Vienna International Airport, as buses can be often late. The Railjet also serves with direct trains from Budapest the cities of Linz, Salzurg and Innsbruck. 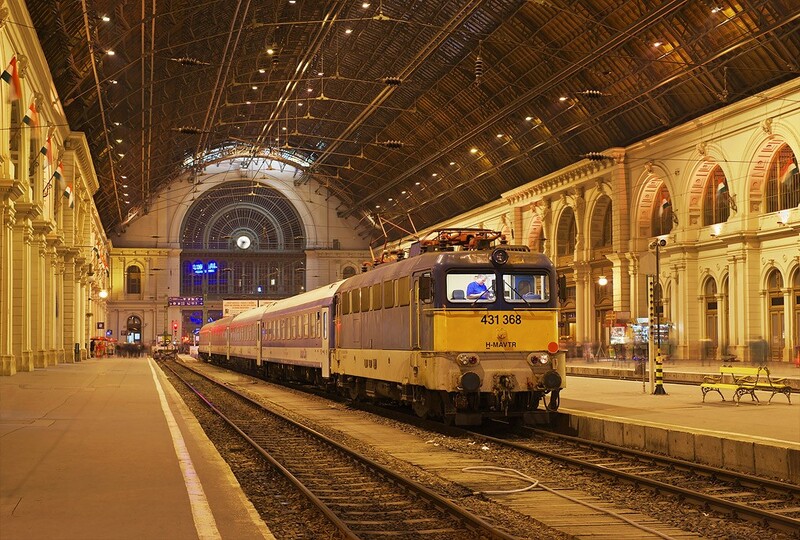 All of the Railjet trains that travel to Hungary have their starting point in Budapest Keleti Station. There is also one InterCity train doing the direct route between Budapest and Graz. There is one direct daily train connecting Budapest to Ljubljana in Slovenia, called Citadella. It leaves Budapest Déli Station in the morning and arrived in the early afternoon in Ljubljana. Even if it’s an 8 hour ride it’s probably your best choice as air travel between these cities normally involves connections. There is a direct non-daily night train connecting Krakow to Budapest via the Czech Republic and Slovakia. There are 2 daily trains connecting Warsaw to Budapest. One is a night train with sleeping cars, the other runs during daytime. The travel time is of about 10 hours, being the daytime slightly faster. This route passes through Katowice (PL), Ostrava (CZ) and Bratislava (SK). Romania is highly connected to Hungary not only for its geographical proximity but also for the sizeable amount of ethnic Hungarians in Romania. There are 3 direct trains from Budapest Keleti to Arad, in Western Romania. One is an InterCity train and two are EuroNight trains part of longer journeys. There is one direct InterCity train from Budapest to Cluj-Napoca, with its final destination being Brasov. There are 2 night trains operating on the route between Budapest and Bucharest, both of them pass through Brasov and Sibiu. One is daily, from Budapest Keleti to Bucuresti Gara de Nord, and the other passes through Budapest coming from Wien Hbf (Vienna). There is one daily train leaving from Budapest Nyugati station to Kiev Passazhirskii Station. It is an almost 24 hour ride, so it is better to be prepared to have some sorts of entertainment. It also stops in other important Ukrainian cities like Lviv, Ternopil, Khmelnytskyi and Vinnytsia. Alternatively, as a cheaper option you can travel to the border city of Chop, and from there take a domestic Ukrainian train, it will be a much cheaper option. Budapest has excellent train connections with Germany and you can travel on direct trains to both Munich and Berlin. The connection to Budapest is served by the ÖBB Railjet and runs a few times a day. You can sometimes get tickets with prices as low as 29€. The train departs at the Budapest Keleti Station and arrives at the München Hbf (Munich Central Station). There is also a good choice of options for trains connecting Budapest Keleti Station to Berlin, via Bratislava, Brno, Prague and Dresden. One of them is an EuroCity leaves Budapest at 7.25 and the other is an EuroNight train with sleeping and couchette cars, leaving Keleti station at 20.05. The train running during the day is fasteer than night one, but expect a trip between 11 an 13 hours. The Czech Republic is probably the country that is best connected to Budapest by railways without actually having a direct border with Hungary. There are direct trains from Budapest to Prague and Brno, running several times a day. There are also a few daily direct connections to Ostrava. The travel time from Budapest to Brno is of 4 hours. The connection to Prague takes roughly 6.45 hours. There is also a night train from Budapest to Prague (which travels to Berlin) and the ride takes 8 hours. There is one direct EuroCity train operating the route between Budapest Keleti Station and the Moscow Belorusskaja Station. It runs fairly frequent but not everyday. If it doesn’t run on the dates you want to travel, your best bet is changing trains in Poland. 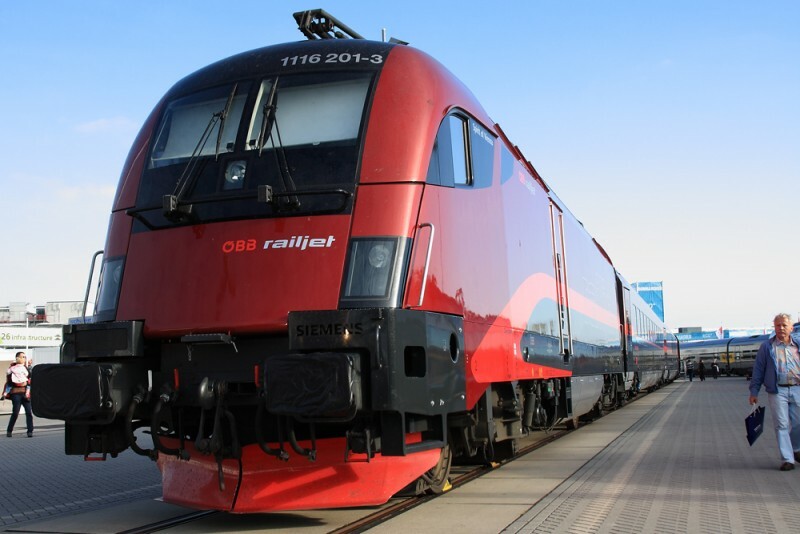 This train is also the only one connecting Budapest to Belarus, serving the Capital Minsk and also the train hub city of Brest, in the border with Poland. It is possible, for some routes, to buy train tickets from / to Budapest using the Hungarian Railway System website (mavcsoport.hu). However not all routes are available, and the site still has a lot of room for improvement. If you are planning to travel to Europe and buy a train pass, check our buying guide clicking here.